Three Rivers Press, 9780767932585, 272pp. What if getting into your reach schools didn’t require four years of excessive A.P. classes, overwhelming activity schedules, and constant stress? · Why doing less is the foundation for becoming more impressive. · Why demonstrating passion is meaningless, but being interesting is crucial. · Why accomplishments that are hard to explain are better than accomplishments that are hard to do. 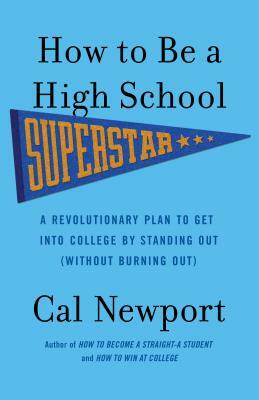 These insights are accompanied by step-by-step instructions to help any student adopt the relaxed superstar lifestyle—proving that getting into college doesn’t have to be a chore to survive, but instead can be the reward for living a genuinely interesting life. Cal Newport graduated from Dartmouth College, earned a Ph.D. from MIT, and is now an associate professor of computer science at Georgetown University. He’s the author of five books, including most recently the Wall Street Journal business bestseller Deep Work. He also runs the popular blog Study Hacks, which explores the impact of technology on our ability to perform productive work and lead satisfying lives. His contrarian ideas have been featured on many major media platforms, including the New York Times, Wall Street Journal, Washington Post, Economist and NPR. Visit him online at calnewport.com.